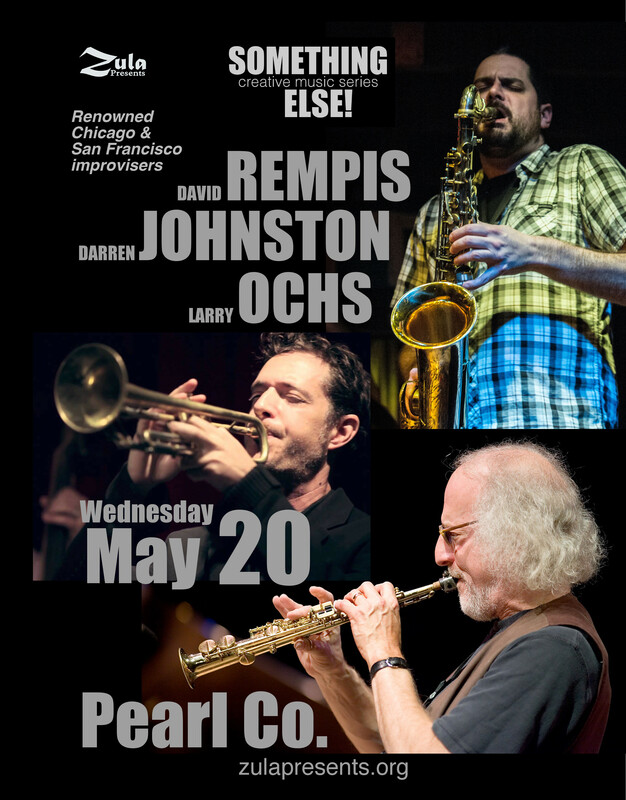 This free-improvising trio came together in the fall of 2011, when Rempis journeyed to the West Coast to discover some things about his compatriots on the Bay Area improving scene. Trumpeter Johnston, a frequent visitor to Chicago, where the two had collaborated in several different settings in the years prior, suggested this trio lineup for a performance at Oakland’s Uptown Nightclub. Although Rempis hadn’t worked with Ochs before, the latter’s renowned experience in the all-horn lineup of The ROVA Saxophone Quartet made the idea especially appealing. From the first few notes, that initial meeting flowed comfortably, yet in totally unexpected ways, with all three making logical structural decisions that gave their improvisations the feel of through-composed pieces. Eager to continue developing this language that the three later came to dub “invisible architecture,” Rempis made a follow-up trip to the Bay Area in the spring of 2012 for two more concerts and a studio recording session. Spectral, the first document of their work, was the result of that visit, and shows an improvising trio playing out an audible game of chess. Not satisfied with simply existing in the moment, these three combine sensibilities to look many moves ahead, setting each other up time and again to capitalize on structural possibilities that give rare and meaningful form to an otherwise very spontaneous music. During his tenure with The Vandermark Five, Rempis also began to develop the many Chicago-based groups for which he is currently known. These include The Rempis Percussion Quartet, The Engines, The Rempis/Rosaly Duo, The Outskirts, Ballister, The Rempis/Daisy Duo, Bishop/Rempis/Kessler/Zerang, and Wheelhouse. Past working groups include Triage, and the Dave Rempis Quartet. Many of these groups have been documented on the Okkadisk, 482 Music, Not Two, MultiKulti, Solitaire, and Utech record labels. Rempis also performs and tours with Ken Vandermark’s Territory Band and Resonance Project, and The Ingebrigt Haker-Flaten Quintet. 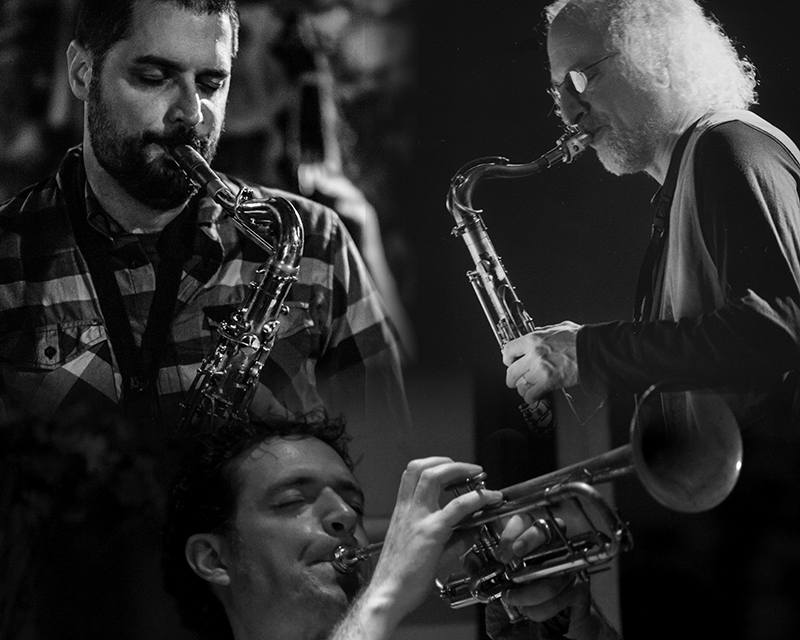 Past collaborations have included performances with Paul Lytton, Axel Dörner, Peter Brötzmann, Hamid Drake, Steve Swell, John Tchicai,Roscoe Mitchell, Fred Anderson, Kevin Drumm, Paal Nilssen-Love, Nels Cline,Tony Buck, and Joe McPhee. Rempis has been named three times in the annualDownbeat Critics’s Poll as a rising star in both the alto and baritone saxophone categories. Since settling in San Francisco in 1997, Canadian-born trumpeter, composer, songwriter Darren Johnston has collaborated and recorded with an extremely diverse cross-section of artists, yet always finds ways to be true to his own unique voice in each context. From straight-ahead jazz luminaries such as bassist/composer Marcus Shelby, to experimental icons like ROVA, Fred Frith and Myra Melford, rising star in the singer/songwriter world like Meklit Hadero, or traditional Balkan brass band giants Brass Menazeri. As a bandleader he has made his mark with the award winning The Nice Guy Trio, The Darren Johnston Quintet, the category defying Broken Shadows, and more. 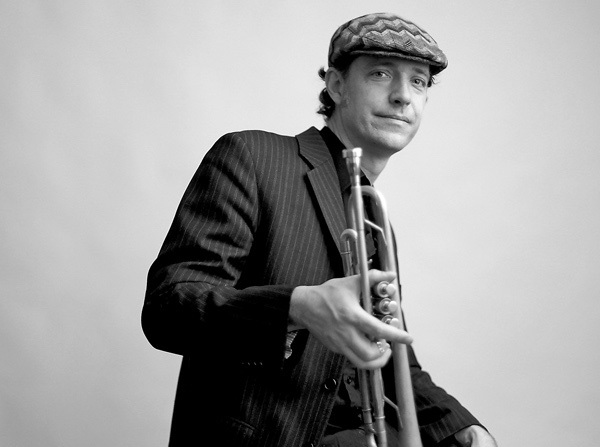 Johnston was featured as one of Downbeat Magazine’s “25 Trumpeters for the Future,” and has been listed multiple times in the critic’s polls. His debut quintet recording, “The Edge of the Forest” received four stars by four very different critics in the Downbeat “Critics Polls,” and was given an honorable mention by the Village Voice for the top 10 CDs of the year. Johnston has a BA from the Cincinnati Conservatory of music, and an MFA in composition from Mills College. He has received commissions for dance companies such as Kunst-Stoff, and Robert Moses’ Kin, and AXIS Dance, presenting organizations such as Intersection for the Arts, the De Young Museum, and the Yerbas Buena Garden Festival, and his music has been used in a few independent films. His original works have been supported by the Zellerbach Family Fund, Meet the Composer, and SF Friends of Chamber Music. In June of 2013, he will premiere his upcoming commission from the Yerba Buena Gardens Festival, “Letters From Home,” developed in collaboration with choreographer Erika Chong Shuch, for which he is forming a multi-generational chorus with over eighty participants, the Trans-Global People’s Chorus. 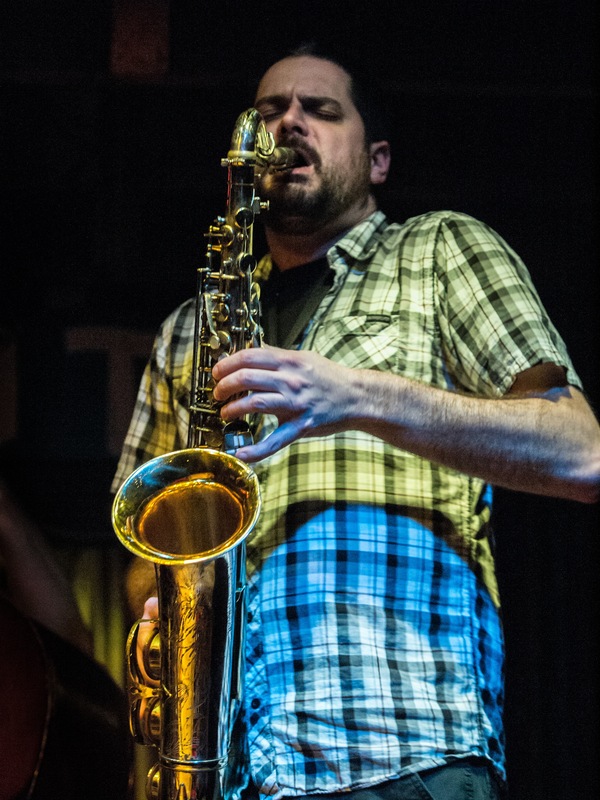 As an educator, Johnston currently teaches privately, at the Community Music Center in San Francisco’s Mission district, the Oakland School for the Arts, and as adjunct faculty at the University of California, Berkeley. Larry Ochs (b. 1949; New York), tenor & sopranino saxophones, has been performing with San Francisco-based Rova Saxophone Quartet since February 1978, and with them has traveled throughout USA, Canada and Europe as well making tours in Japan. He also has served as the acting executive director of the non-profit organization “Rova:Arts” since its inception in 1986, and in that capacity has produced many large collaborative concerts in San Francisco and beyond. Ochs has composed over 3 dozen works for sax quartet, many with added musicians. Rova Saxophone Quartet: Since 1978, Ochs’s professional activities have been primarily centered around the Rova Saxophone Quartet, which has made over thirty European tours and numerous concerts throughout the U.S. and Canada, as well as recording over 30 CDs as a quartet and/or in collaboration with other artists. 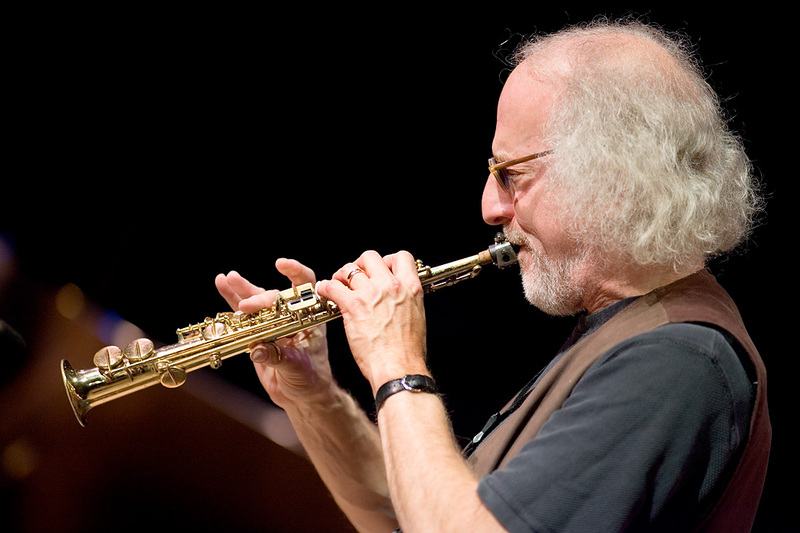 Other performance groups: In 1986, Ochs formed the group Room with Chris Brown and William Winant, a trio of saxophone, piano, computer electronics and percussion. The group continued performing and recording until 1994, and was one of the first bands to combine acoustic instruments and computer electronics in formal compositions that involved improvisation. In 1993, he created a nine-piece group to perform a specially commissioned work for Antwerpen ’93 Festival entitled The Secret Magritte. Also in 1993, he organized a saxophone octet (including the Rova quartet) to perform five compositions of his music at festivals in Austria and Germany. In 1994, Ochs joined with Lisle Ellis and Donald Robinson to form the ongoing trio, What We Live, which has toured in the US and Europe and recorded six CDs. In 1995, he was a guest soloist with the George Lewis Creative Orchestra at Mills College in Oakland, California. Also in 1995, he performed and recorded with India Cooke’s group, Red Handed. In 1997, he composed the 45 minute work Pleistocene for a 12 piece ensemble which was performed at The San Francisco Jazz Festival (as part of Rova’s 20th anniversary concert.) Also in 1997, Ochs first recorded with the John Lindberg Ensemble; a tour and second recording took place in 1999; a third recording and tour followed in 2000. In 2000, Ochs organized the trio Larry Ochs Sax & Drumming Core with drummers Scott Amendola and Donald Robinson; a first recording has been released on Black Saint in 2002, and their first European tour also took place in early 2002. Ochs has composed some 2 dozen compositions for saxophone quartet as well as many other pieces for mixed ensembles (see groups mentioned in previous paragraph). His most recent composition for saxophone quartet, a thirty-minute piece entitled Certain Space, was commissioned by Chamber Music America / Doris Duke Foundation, and he has twice previously been commissioned by Commissioning Music USA / Meet the Composer Fund. He composed the music for the film Letters Not About Love which won best documentary film award at the 1998 South by Southwest Film Festival. His monograph on “Strategies for Structured Improvisation” was published in 1999 as part of the book Arcana, a collection of composers’ writings edited by John Zorn (Granary Press, New York). He has also composed for theater and one video play.